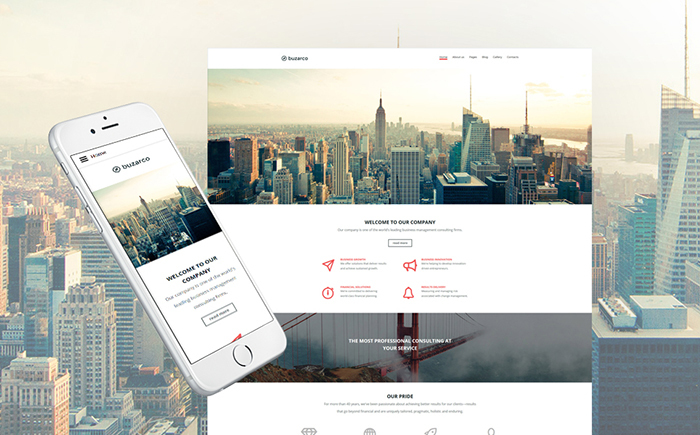 You are here: Home / Theme & Templates / Best 25 Themes for Your Business ! At the present time, we live in a fast-developing world. Seriously, have you ever thought about the number of websites available on net? The statistics say that over 140,000 new websites are launched on a daily basis. Can you imagine such a huge internet community? Luckily, in 2017, there are so many ways to create your own online project. Moreover, you can also save your precious time and money on your website’s design. And today, we are going to reveal some tips and tricks that will definitely help you. Building an online business has never been so easy! So how can you get a website’s design for your business? First of all, you can order a custom design for your website. This option requires a help of the professional web designer. The first thing to mention, the custom design is a quite expensive thing. Approximately, it costs $5000 – $8000. Sure, it won’t be a problem for the huge enterprises. However, if you are just about to start your online business, this option may not be the best fit for you. Second, you can consider buying a website template. The cost varies around $45 – $150, which is a great advantage. Furthermore, there is a plenty of ready-made solutions for, literally, any platform and CMS. 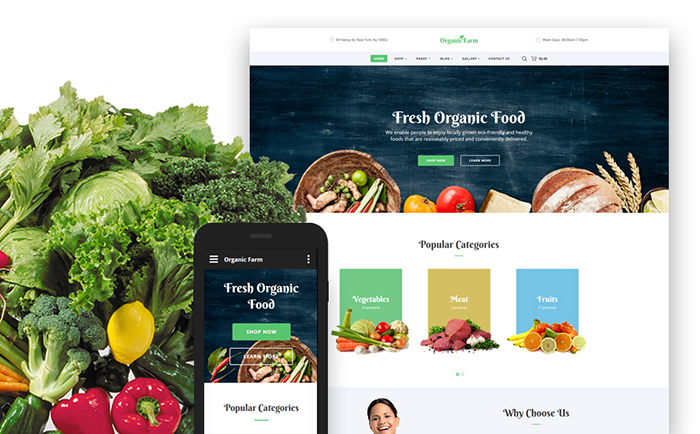 For instance, you can easily choose one of the Shopify, HTML5, Joomla, MotoCMS, Magento, and, certainly, WordPress themes of the highest quality. Moreover, the technologies nowadays are so damn progressive, that you can even customize your website by yourself, even without any coding or design skills! Third option is a kind of combination of the first two points. If you don’t have a lot of spare time on adjusting a theme by yourself, there is a trick for you. The thing is, that you can get your ready-to-go website template and hire a developer from one of the freelance platforms. What are the advantages of website templates? Important to realize, that it is really hard to pay around $5000 for the custom design if you are just at the start of your online business. So, the website template is a great money-saving option. 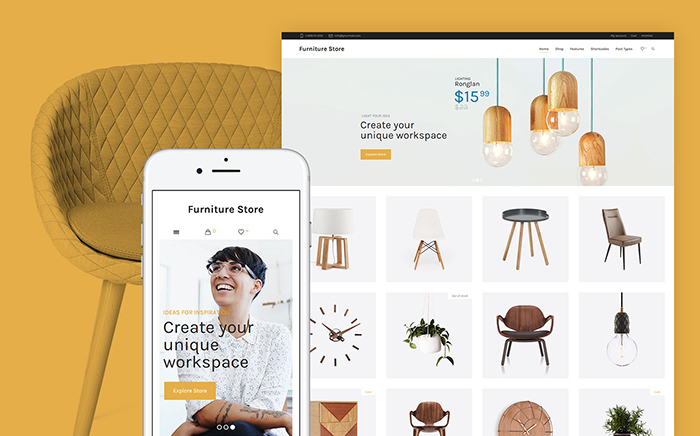 Thanks to the variety of the modern themes, you can easily launch your own website. No matter, what niche you’d like to choose – there is already a perfect fit for you. Seriously, there are art & culture, cafe & restaurant, photographer or designer portfolio, personal blog, and, business and services WordPress themes., etc. Furthermore, in 2017, all the themes are responsive. It means, that your future website will look great on a device with any screen resolution. It will automatically adapt for mobile and tablets. In addition, most of the themes come with the built-in Premium plugins. A cool bonus, right? 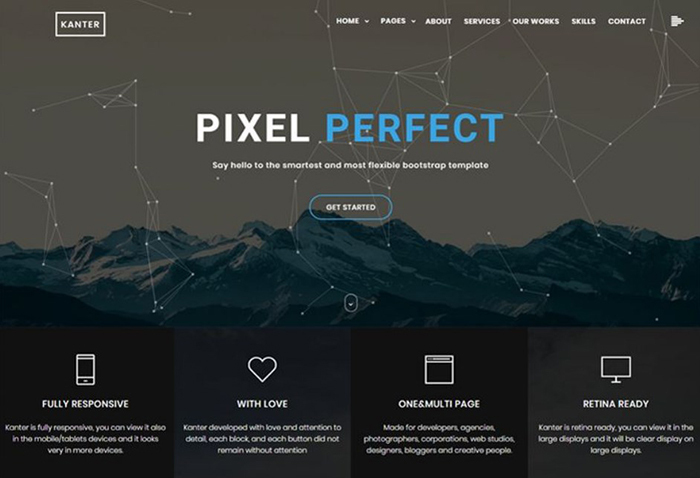 Today, we are going to share with you top 25 of the best websites templates for your business. Take a look at them, in order to find out, how powerful your future website could be. If you are planning to open a digital marketing agency, the following theme is a good option for you. 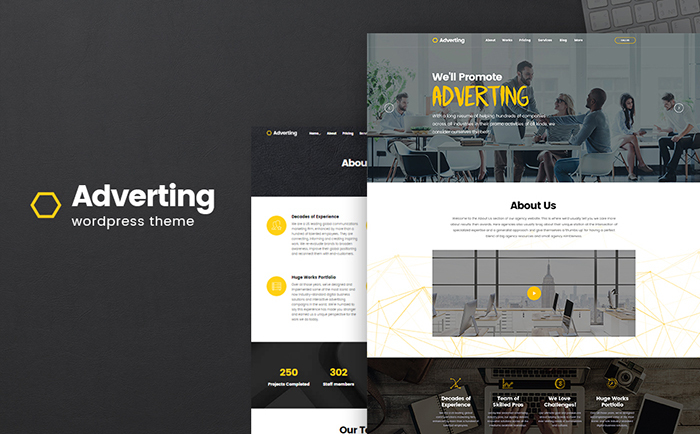 Moreover, if you already have a blooming business, consider buying an Adverting theme. Obviously, it will help you to build a successful online presence for your agency. For instance, the drag-n-drop functionality and 25+ modules included will help you easily create new pages. Or, certainly, customize the existing website elements. Psst, planning to launch a home services business? 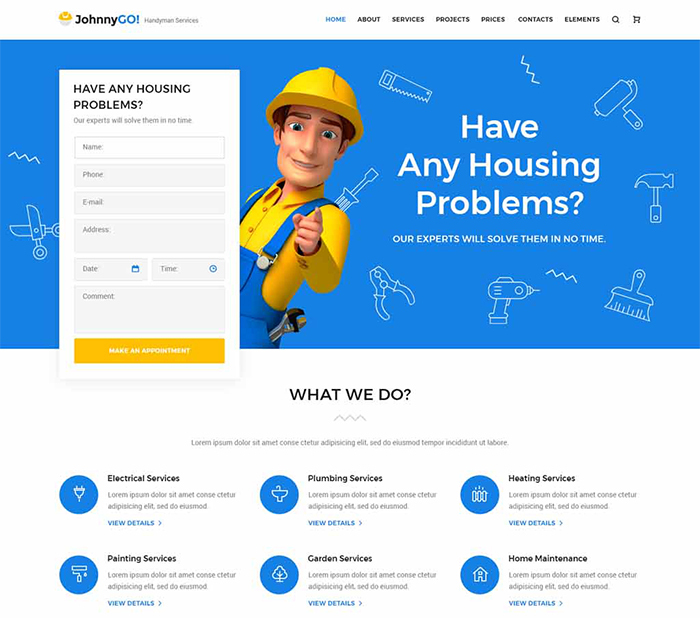 The JohnnyGo WordPress theme is waiting for you. Seriously, it is a treasure for your niche, as it has 15 layouts for literally any type of home service business. Take an advantage of the Elementor live page builder – creating and adjusting pages is as entertaining as playing a game. The Skyline theme can help you to build any kind of online project. Certainly, because it is a multipurpose tool. Imagine, that you have an access to the more than 100 pre-built content blocks. 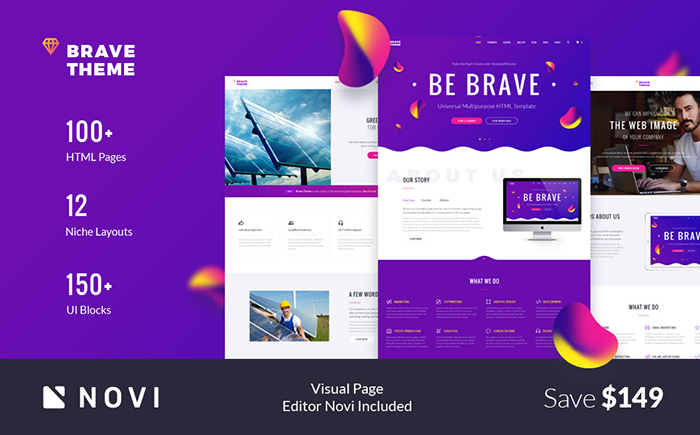 Moreover, a theme goes with 5 homepage layouts and a pack of ready-to-use pages, in order to provide you with a true flexibility. 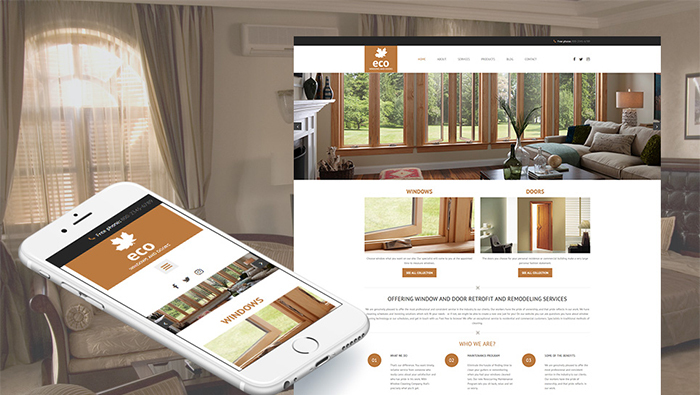 Thanks to the 47 pre-built pages, the Kanter website template can help you with creating a one-of-a-kind website. Moreover, thanks to the minimalist layout, it will give a classic look to your website’s layout. Moreover, you can play with 11 different color schemes and choose one that will be a perfect choice for your online project. 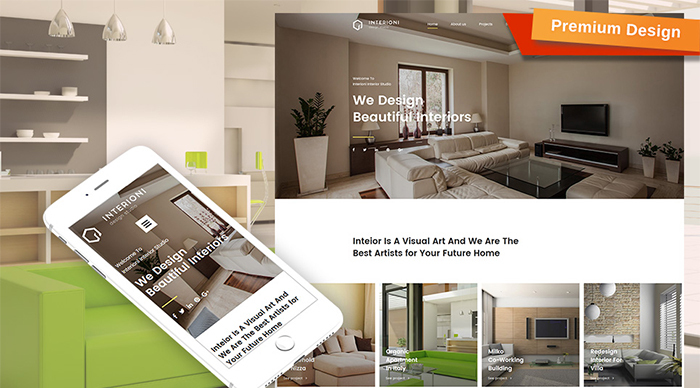 Obviously, as you can see from its title, the following theme is a fit for the furniture store, interior or exterior design website. WooCommerce ready, it, certainly, gives you an opportunity to build a powerful online store. 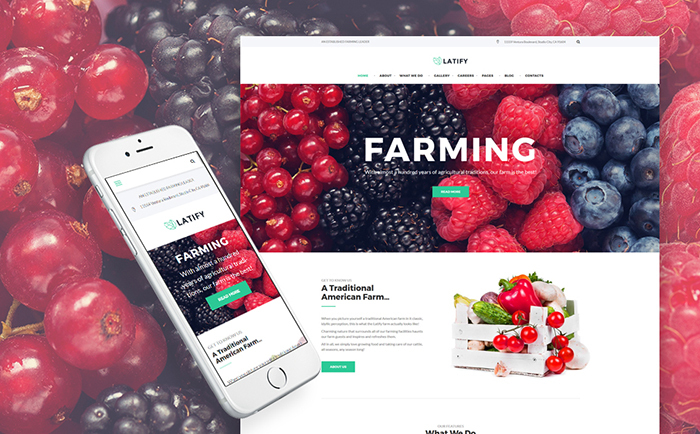 The trendy layout of this theme will definitely help you to showcase your products in the most appealing way. First of all, the following template will definitely come in handy to the private farm, brewery, winery, and distillery business owners. Owing to the drag-n-drop page builder, you can easily customize the layout of your website, according to your taste. In addition, give your website an authentic look, using the full-width imagery. 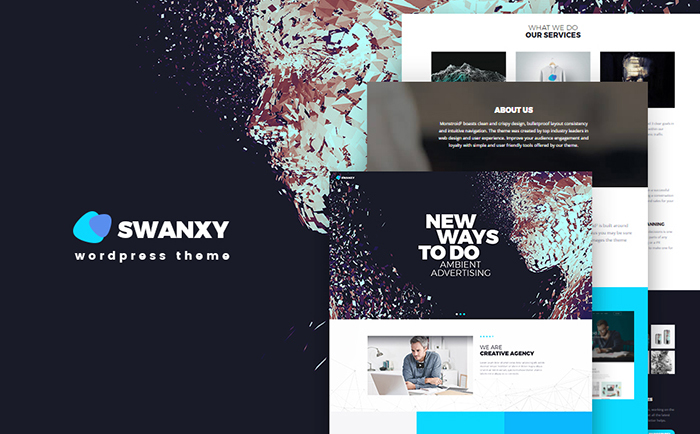 The Swanxy WordPress theme is a rather powerful tool to build a website with. The first thing to mention is a drag and drop functionality. Thanks to this feature, you can adjust a layout of your web page within a couple of minutes. Moreover, you don’t need to have any coding experience – the admin panel comes with an intuitive, easy-to-use interface. Obviously, the design of a medical website matters. If you are working in the medicine niche you, probably, know that good reputation is a must. 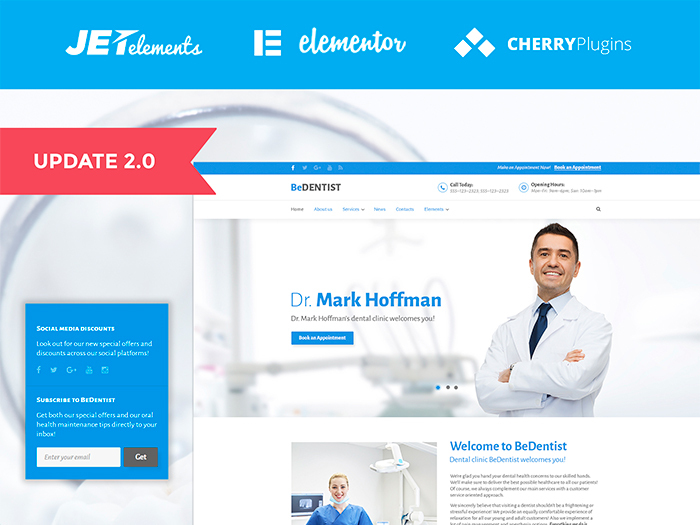 With the BeDentist WordPress theme, you can create a good-looking website and make a good impression on your potential clients. Important to realize, that the imagery is a basis of any food-related website. Of course, if you a restaurant or food delivery owner, you can provide your website visitors with a short description of your dishes. However, if you add the mouthwatering photos of your gourmet dishes on your website, it will have a better effect. The following theme will help you to provide your website with a pleasant user experience. Definitely, the Styler 2 PrestaShop theme is a perfect choice for the online store owners. First, it gives you an opportunity to expand your market. Owing to the multilingual and multi-currency options, you can reach out to the wider audiences. Second, the stylish layout of this theme won’t go unnoticed. As a result, you will definitely get more conversions. Certainly, the iTStudio website template is a perfect tool for creating an online project, related to the IT niche. It gives you an opportunity to build a modern, clean layout. By the way, the variety of pre-built content blocks will come in handy. In addition, you get an access to the premium modules for free, as they are included in the package. 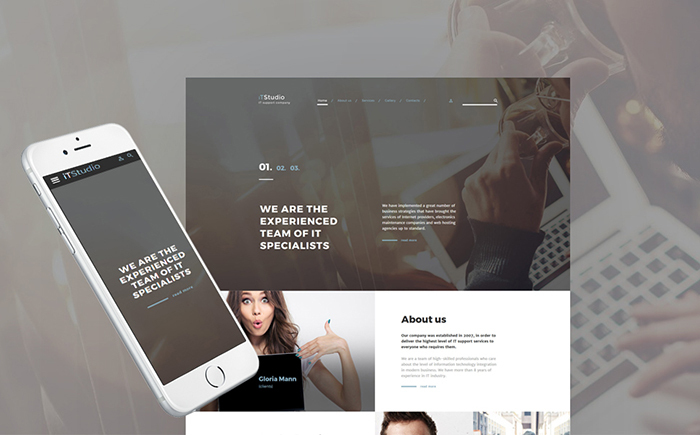 If you aim to build a website for the consulting agency, consider taking a look at this Joomla template. First of all, a theme comes with a variety of beautiful UI elements and additional pages. Second, you can create an appealing parallax scrolling effect on your homepage. Third, the Lazy Load effect will increase the page speed, which is a rather important criterion. 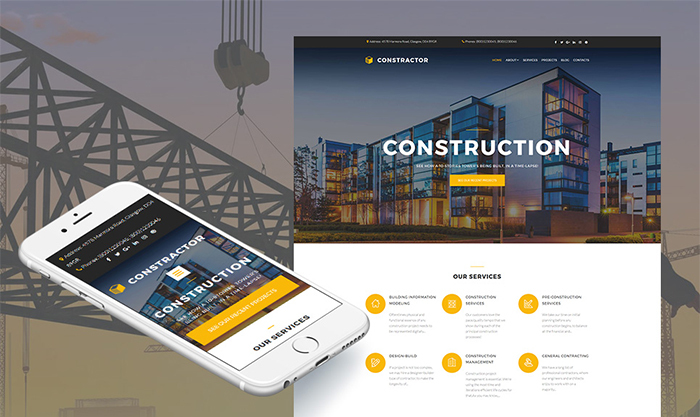 If you are a non-techy person and you want to launch your own website, the Construction template could be a good choice for you. As well as the theme comes with the drag and drop editor, no coding or design skills required to build a website. Moreover, you can implement changes into your website’s layout and see them within a blink of an eye. 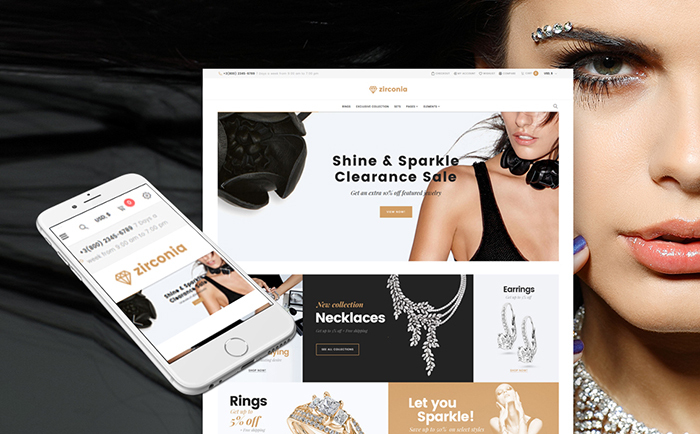 Created with the latest web design trends in mind, the following theme is a great basis for any fashion-related website. Furthermore, as the theme is powered by a VirtueMart, you can create a cosmetic or apparel store with its help. In other words, the following template will help you to enter the beauty niche. Do you want to launch an interior/exterior design agency? Well, an Interioni Moto CMS 3 template can help you with creating one. If you like classic, minimalist designs, you will definitely love this theme. The white background, coupled with a grid-structured layout of projects images – there is nothing superfluous. If you want to build a jewelry & accessories store, the splendid design and feature-rich functionality are the musts. 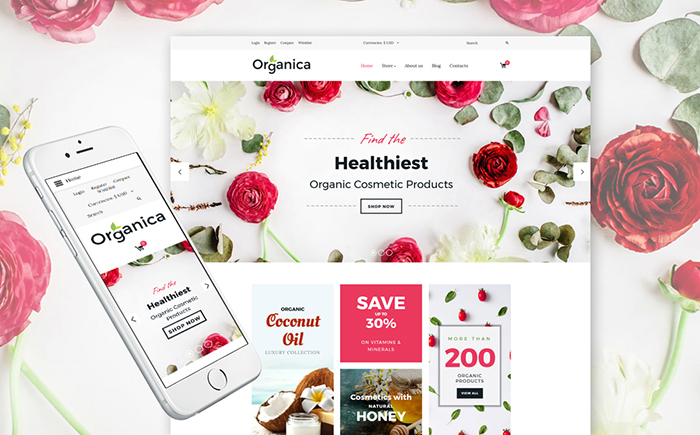 The Zirconia WooCommerce theme, definitely, provides you with both. 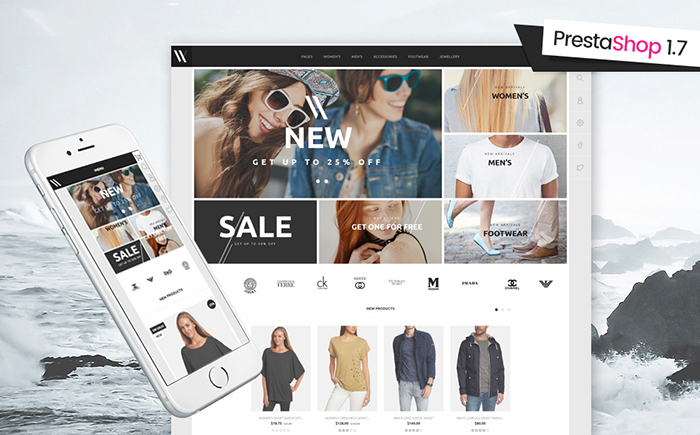 Thanks to the WooCommerce platform, you can create a powerful online store and enjoy all the benefits of your own business. If you are a photographer, you already know that a stunning portfolio is your main tool for self-marketing. 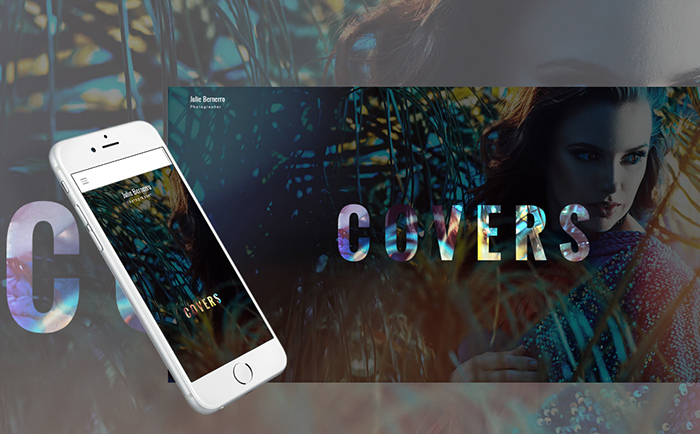 Owing to the combination of the powerful functionality and stunning design, the Julie Bernerro theme can be a fit for you. Thanks to the following features, you can create a creative and elegant online portfolio. 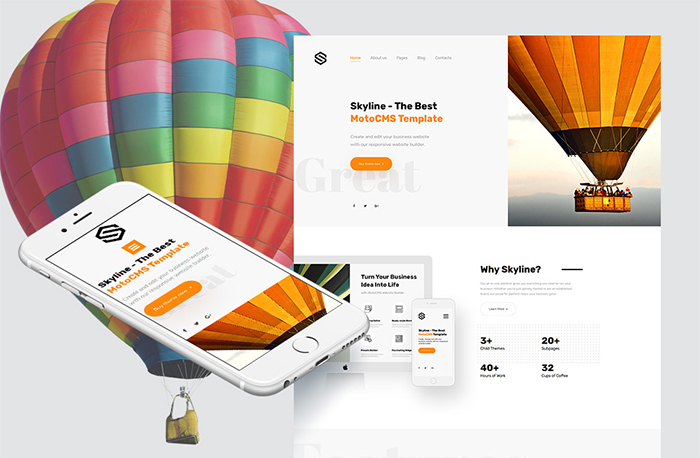 If you aim to build an online business within a couple of days, this Moto CMS template will definitely come in handy. First, install a theme, it will take approximately 2-5 minutes. Second, customize the layout of your future website. This step requires just 1-2 days of your work. Then, add your own content and that’s it, you are ready to take orders! Important to realize, that all these steps don’t require any coding skills from you. This website template, obviously, is designed for the hotel owners. The first thing to mention is a built-in booking and registration forms. Coupled with the rich UI kit, it provides your potential customers with a pleasant user experience on your website. Take an advantage of the revolutionary HTML template. First, enjoy 12 different types of layout for your future website. Second, choose from the 100+ pre-made HTML pages and a kit of UI elements. 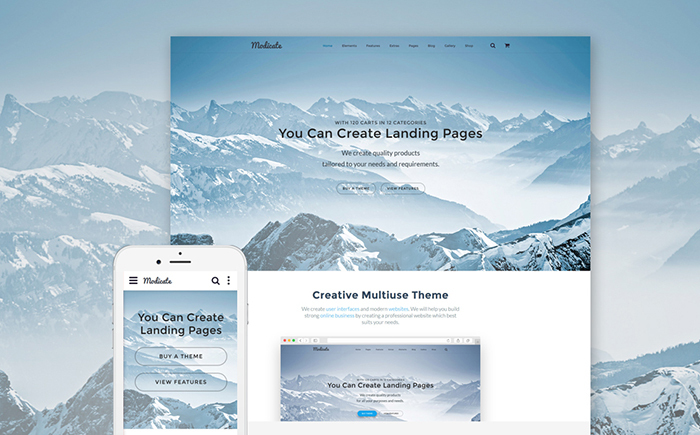 Create literally any kind of website, thanks to the flexible Novi Builder. 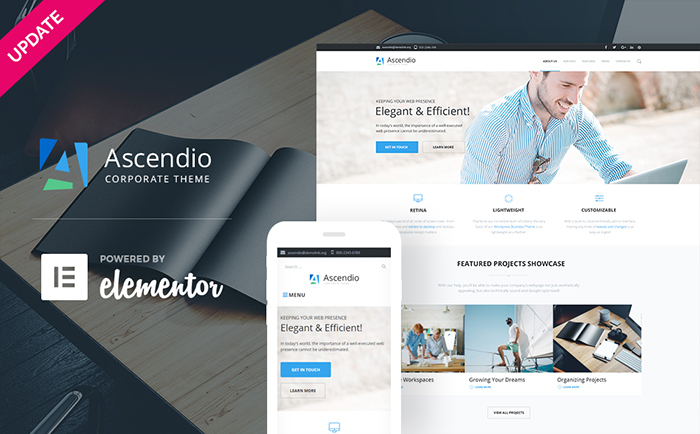 An Ascendio WordPress theme is a perfect tool for launching corporate and business websites. With a help of the Elementor page builder, you can create content blocks and pages. Furthermore, it allows you to customize, add or delete elements, within a couple of seconds. 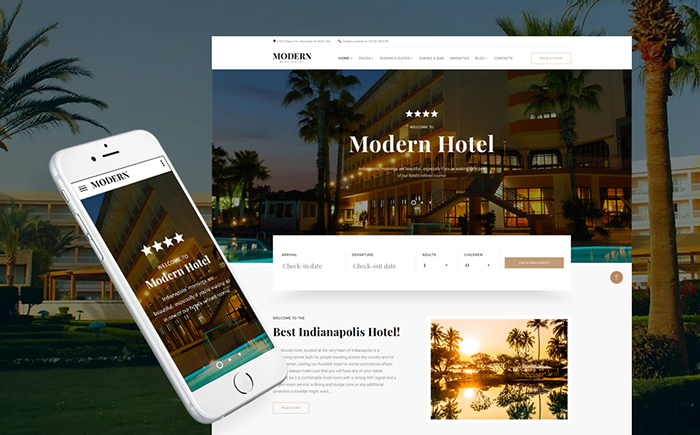 Thanks to an elegant look, the Modicate website template can help you to make a good impression on your website visitors. Imagine, that you can choose from the 50+ pre-built HTML pages and a wide kit of the handy UI elements! Coupled with an SEO-friendly code, the Modicate template will help your website to rank higher in different search engines. 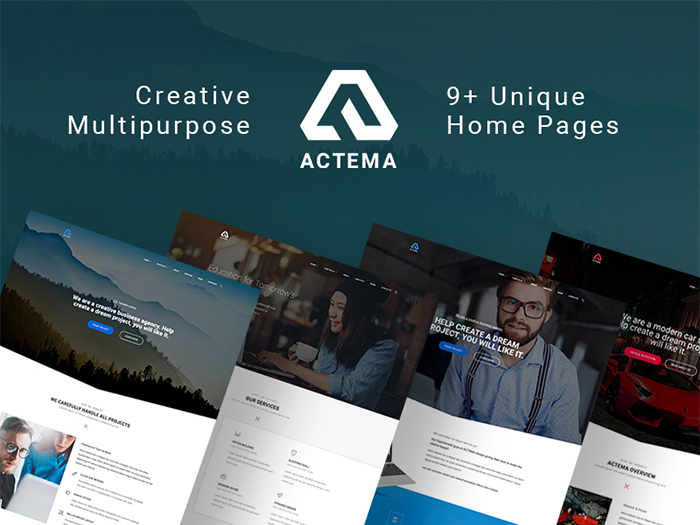 An Actema WP theme is a good choice for any kind of website, as it is a multipurpose tool. One of the main advantages of this theme is that it comes with 3 plugins for free! Moreover, an Actema is WooCommerce-ready. To clarify, it means that it can help you to launch your own online shop. 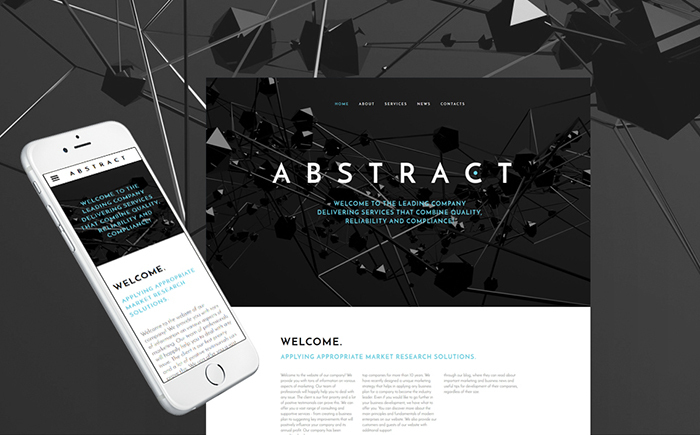 An Abstract template is a cool example of the timeless combination of black and white colors. Certainly, it is a classic, but you can always spice up the minimalist design with the smooth modern animations. As a result, you can get an appealing, trendy design for your website. The Hugesale theme will, certainly, impress you with the 4 premium modules, included in the pack for free. Moreover, it also provides you with a wide variety of editing tools and ready-to-use UI elements. 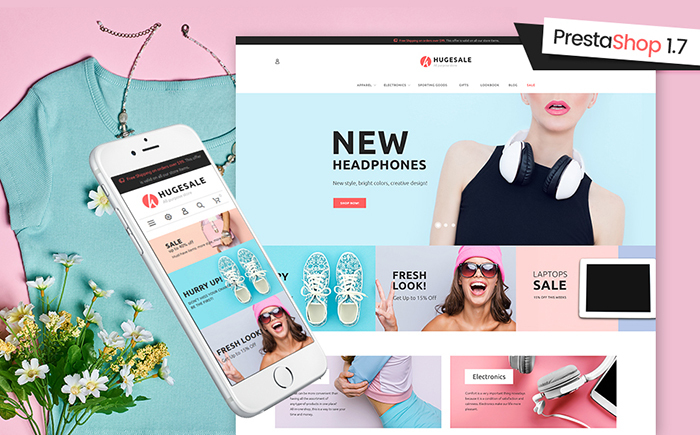 So, if you need a powerful website-building tool with a stylish layout, a Hugesale PrestaShop theme is right what you are looking for. By the way, that’s not all for today. We have a surprise for you. 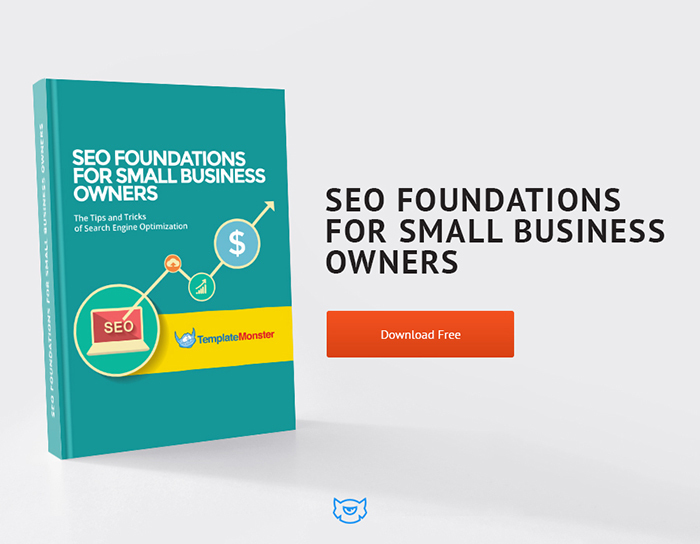 Get a FREE e-book and get acquainted with all the must-have SEO tips and tricks. Don’t miss a chance to promote your business and outbid your competitors!